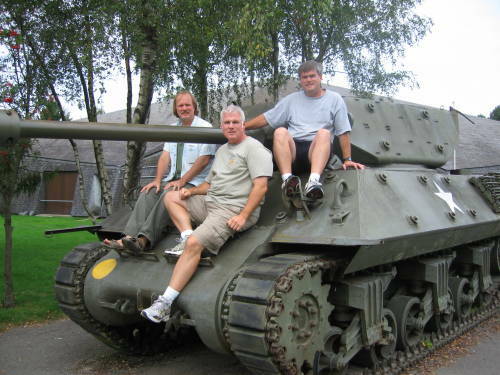 A friend of mine organized a World War II history trip, a Band of Brothers trip, as he put it. Military history tourism, a different sort of vacation. We went to Normandy, to the landing beaches and some of the inland battlefields. It was very easy to plan and carry out the trip on our own. We had no trouble finding places to stay without making reservations in advance. Of course, we weren't visiting near the anniversary in June, when you would have to plan ahead and then deal with huge crowds on the roads and at the sites. The three of us met up in Brussels, picked up a rental van, and immediately drove to Normandy. We met mid-morning at the Midi Station in Brussels, and by dinner time we were in Sainte-Mère-Église. We stayed in Sainte-Mère-Église and made day trips throughout the area — Utah Beach and Omaha Beach, obviously; the artificial harbors at Arromanches; various German fortifications along Utah Beach and elsewhere on the Cotentin Peninsula; and more World War II sites in the area including Pegasus Bridge. Most of our time in France was spent in Normandy, between the cities of Cherbourg and Le Havre shown on this map. From there we drove to southern Belgium to stay in Bastogne for a couple of days seeing the area where the Battle of the Bulge was fought. 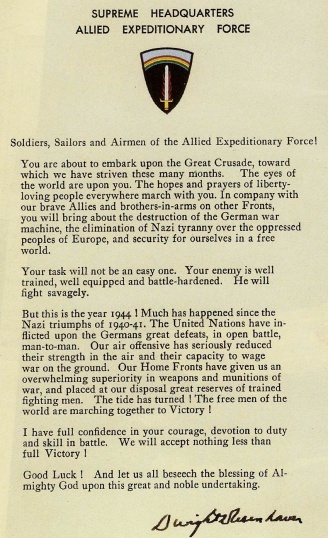 The Normandy landings were a huge operation — the largest single-day amphibious operation ever, with over 130,000 troops landing on June 6 and 195,700 Allied naval and merchant marine personnel involved. For background, Cornelius Ryan's The Longest Day is a good place to start. Ryan wrote for magazines, so his book is fairly detailed but it's an easy read. Also read Stephen Ambrose's D-Day and then Citizen Soldiers, plus, while you're at it, Band of Brothers (or else just watch the HBO series based on that last one). The U.S. Army's Center of Military History has a 487-page book on line, "Cross-Channel Attack". US Government map of France. 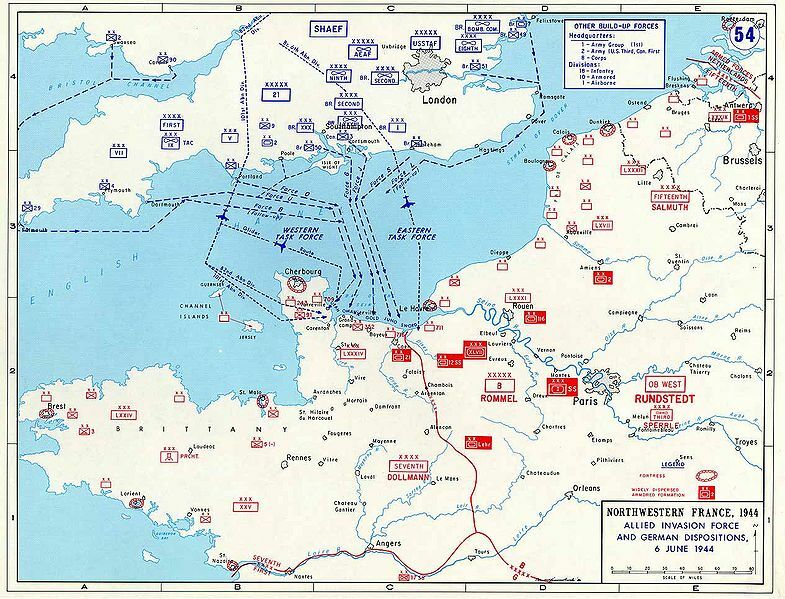 Below is a U.S. military map of Operation Overlord, the Allied invasion of Normandy. Click here for a full-resolution version of the map. British and Canadian forces landed on the eastern beaches designated Sword, Juno, and Gold; and American forces on the western beaches designated Omaha and Utah. US military map of Operation OVERLORD. We took hundreds of pictures, relatively few are included on these pages. I have split what would have been an enormous page into several sections. It might make a little more sense to view them in order: Arrival, around Sainte-Mère-Église, Utah Beach and its surroundings, east to Omaha Beach, then further east to Arromanches and Pegasus Bridge. Then, like the Allies, we moved east to Belgium and the Ardennes Forest.